Explanation: Mimas is one of the smaller moons of Saturn but shows one of the largest impact craters. In fact, if the impact had been much greater, it would have disrupted the entire satellite. 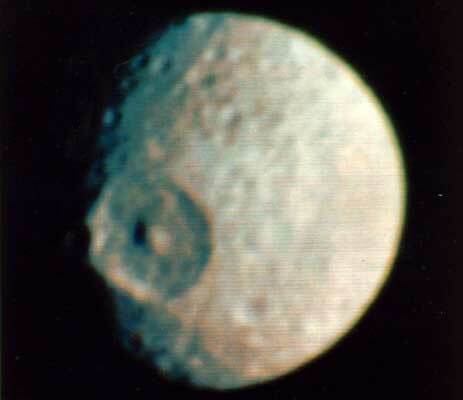 The large crater has been named Herschel after the 1789 discoverer of Mimas, Sir William Herschel. Mimas' low mass produces a surface gravity just strong enough to create a spherical body but weak enough to allow such relatively large surface features. 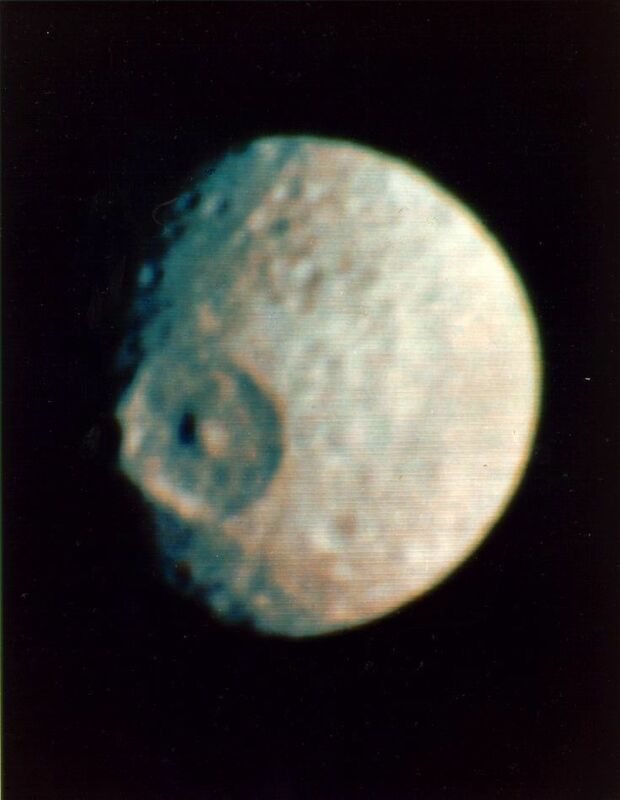 Mimas is made of mostly water ice with a smattering of rock - so it is accurately described as a big dirty snowball. Voyager 1 flew by in 1980 and took the above picture.